In my work with mothers living apart from their children the theme of forgiveness occurs often. Sometimes a woman is resistant to forgiving herself for a perceived or real upset or injury caused to others, particularly her children. Other times it is related to not being able to forgive others including ex-partners, new wives, CAFCASS and the family court system for the hurt and loss she feels. Quite often, women struggle with both forgiving themselves and forgiving others, which when you take a closer look, makes sense. If we are not able to grasp what longing to be forgiven does to us and apply our understanding to change how we view our circumstances and actions, it is difficult to look beyond our viewpoint to gauge the cost to ourselves of harbouring resentments towards others. 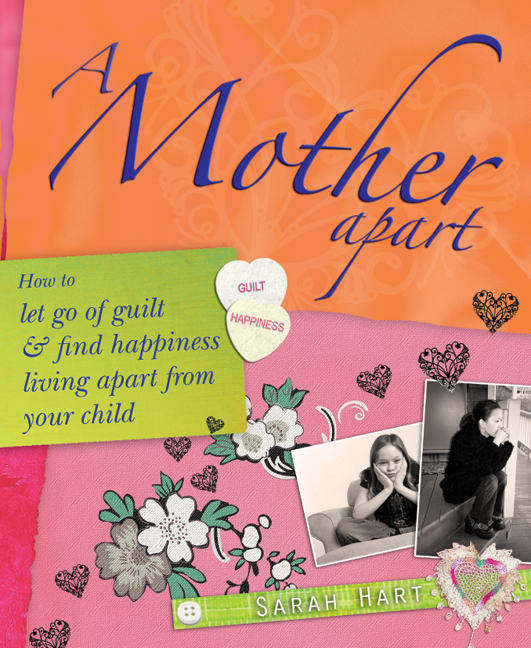 In my book, A Mother Apart, I write about longing to be forgiven for something we did or did not do – “I should have left sooner, stayed longer, been less naive or less angry”, we say with remorse. I have observed that mothers living apart from their children, whether they have no contact or co-parent, are susceptible to expecting very high standards of themselves, feeling they should be ‘perfect’ mothers. They have the ability to turn a blind eye to the stress they were under at the time of separation and divorce – pressure from other people and a lack of physical and emotional resources – especially if separation from their child was linked to their need to move on and develop personally. Being truthful about the full circumstances of our separation is very important but only part of what needs to be done to move forward. We need to consciously put an end to the ways we punish ourselves too. Let us turn to forgiveness of others for a moment. A mother apart might say, “I just cannot forgive him/her/them for doing that to my child/me. They should not be allowed to get away with it!” Now, I am the first to understand their anger and resentment and believe it is vital to express this. However there comes a time when holding on to an offence or injustice whether intended or a mistake, comes at too high a price. Research shows that those who hold on to resentments are more likely to suffer high blood pressure, clinical depression and other health problems than those able to forgive. Hanging on to umbrage and indignation about the wrongs of others towards you keeps you firmly stuck in the past. Yearning to be forgiven by others stops you from being in the present and gets in the way of you shaping up and creating your future. Actor Lily Tomlin said; “Forgiveness means giving up all hope of a better past”, and I think this sums it up well. I would also add that forgiveness is also giving up all hope for retribution or revenge. Nothing that has happened in the past can be undone – we simply do not have the power to do this. If I feel bad about living apart from my child, how can I help myself to explore and acknowledge the truth about my circumstances without unfairly judging myself? For example, you could try writing your story and sharing and reality checking it with a trusted friend. What action can I take to gently lead myself away from repeatedly thinking that I must be forgiven? Am I perhaps turning someone’s rejection of me (perhaps my child or the family court system) in on myself, making myself feel guilty and remorseful instead of grieving my loss? What can I do to support myself to avoid ruminating over how I think others have wronged me? Remember, you are the one who suffers if you continually run past events over in your mind. If you feel stuck with trying to cope with resentment, remorse or any other difficult feelings, please find professional help for yourself. Until next time, take excellent care of yourself.